Video conferencing is the technology that allows you to hold meetings with several correspondents who are located in different places while seeing and talking to them in real time. It is different from simple video calling, which is normally one-to-one video communication. Some time ago, video calling or conferencing was a luxury that required expensive and (then) complex equipment and expertise. Today, you literally carry it in your pocket. 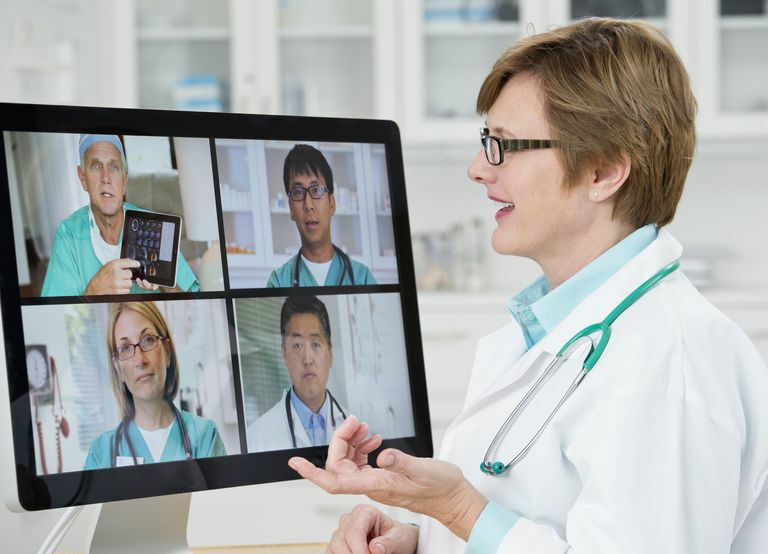 You can participate in or host video conferencing sessions on your smartphone and mobile device as well as on your computer with basic hardware and adequate Internet connectivity. Video conferencing has become more common and more accessible thanks to the advent and development of Voice over IP, which harnesses the underlying IP infrastructure of the Internet to make free communication possible. Packets of video, voice, and other types of data are carried on the Internet, thereby making voice and video communication free. You need to be aware that video conferencing has a much higher bandwidth requirement than a simple video call. A typical estimate for a session with decent quality video would be 1 Mbps for each participant. If HD video quality is of importance, consider this as the minimum value. Each participant also needs to have the same connectivity provisions, failing which they risk missing much of the session and also messing around with the whole collective experience. The most well-established free video conferencing tool around is Skype. As it stands today, however, it may not be the best. Alternative tools include TeamViewer, Google Hangouts, join.me, and many others. It costs a lot of money and a lot of time to travel to meet people. With video conferencing, you can organize and hold a meeting within the hour with participants from remote places all over the world. They only need to have the necessary equipment and be present in front of the screen at the chosen time. The pre-meeting organization can be done via email or instant messaging. Your workforce may be scattered around the city of around the country if they are mobile workers. They connect back to base through their mobile devices. You can leverage this existing mobile infrastructure to conduct video conferencing meetings with your workforce. Besides, the visual nature of video conferencing even allows you to check the activities and whereabouts of your employees. Video conferencing is also an essential tool for teleworking or telecommuting- working away from the office, often at home. If your business has a quite open timetable and your workers or co-workers work from home, one way to curb the lack of interaction within the workforce and the lack of downward instruction or upward reporting is video conferencing. Now that meetings online are free from the huge obstacle of travel expenses and restrictions, they can be organized more often. You can meet people around the world every day or even several times a day. This allows your business to move at the speed the world is moving. Your business moves without you having to move and that's very fast. Your meetings can be very short notice. Participants will no longer have excuses related to location and travel; they only have to free themselves. This means that you can schedule video conferencing meetings quickly and get it running quickly. You can also easily squeeze in anyone with a tight schedule. Take this point in contrast with voice communication or email correspondence. A video is moving pictures, which are worth more than a million words. By showing yourself and seeing others, you can work the charms of body language, which is so important in business and other activities involving human interaction. Also, seeing someone while talking to them completely changes the nomenclature of a conversation, be it for business or in a personal relationship. Seeing is believing, and showing is convincing. Through video conferencing, you can write on a board and show it to everyone, demonstrate your latest product, or introduce a new recruit. Often, you can show things that you cannot take along with you in your suitcase while traveling to a meeting. There are great courses being offered and great teachers teaching everywhere, but most of them are probably very far from you. If you are a teacher or trainer, your market may be far from where you are. Video conferencing is a great way of acquiring and sharing knowledge beyond hurdles. While it will not be like being physically present, the interaction is adequate. You will be able to use multimedia facilities like online interactive whiteboards, and you can use online collaboration tools.